Chicken Wings. Legs. Breasts. Frozen Turkeys. Top menu items for any Texas restaurant. Necessary for every caterer. Wholesale chicken and turkeys in bulk. Juicy, tender white and dark meat poultry. Best selection of commercially cut and prepared chicken and turkey. Texans love meat. We love our chicken wings. We love our turkey legs. We love succulent, juicy poultry. Waco Beef & Pork Processors: we know meat. 100% American raised birds from top Texas and neighboring farmers. Grade A birds that pass stringent industry standards. Best standards in chicken and turkey processing for commercial kitchens and groceries. Individually wrapped and handled by hand with care. Delivered daily in refrigerated trucks. Professional, award-winning butchers with over 120 years of combined experience. Top BBQ restaurant and special event wholesale chicken wings distributors in central Texas. Top BBQ restaurant and special event wholesale chicken wings distributors in central Texas. 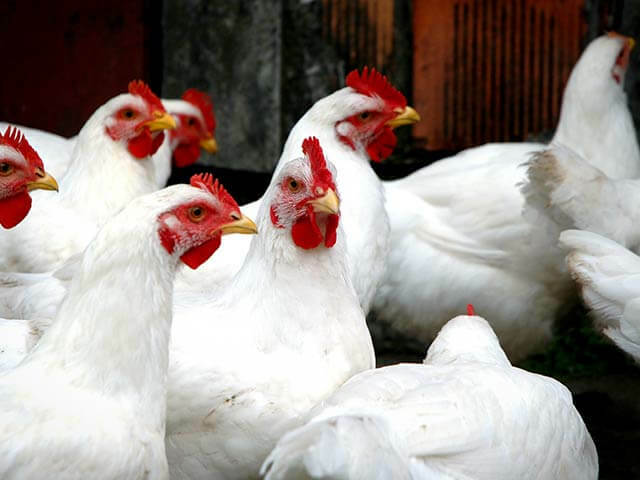 Chicken is the most widely used meat in America. Prepared in a range of methods using countless recipes, many other foods are compared to chicken. When really, great chicken tastes like nothing else. Waco Beef & Pork Processors offers the top selection of whole and cut chicken pieces in central Texas. Many recipes call for chicken to be cooked whole. Roasts, rotisserie, baked, or fried – a whole chicken is useful in multiple ways in any kitchen. All parts of “whole fryer” chickens can be used in a range of recipes for entrees, stocks, and gourmet dishes. Stretch your budget – and your menu – farther. Above industry standards for commercial preparation. Whether you need regular bulk orders for regularly used recipes, or a one-time wholesale purchase of whole chickens. We welcome special orders and unique situations. Waco B&PP: meeting all fresh and frozen whole chicken needs from commercial kitchens, restaurants, and catering companies throughout central Texas. 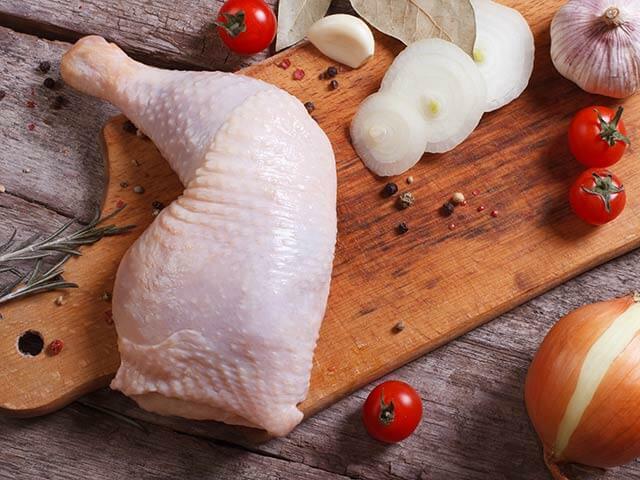 For commercial kitchens and further processing, we offer cut chicken halves, fresh or frozen. Separating the halves of a chicken is necessary for certain steps in preparation. Ensure greater efficiency in your kitchen. Saving time saves you money. Let professional butchers cut and prep your bulk chicken order into halves. Seasoned chicken wings are one of the most popular restaurant menu items throughout Texas. Many national and local groceries stock raw chicken wings for home cooks as well. Waco Beef & Pork Processors: Best bulk and wholesale raw, whole and cut chicken wings. Fresh or frozen. Pre-seasoned or smoked. Whole wings. Hot wings. Cut chicken wings for special events and catering. Our lollipop chicken wings are perfect for commercial kitchens and restaurant menus. Easy cooking and preparation. Fun presentation and great taste. Great taste and quality you’re proud to serve. One of today’s most popular menu items, chicken tenders are generally all-white chicken breast meat, cut into long strips for easy preparation. Breaded for frying and baking. Skinless for easy grilling and stewing. With or without restaurant seasoning for the best flavor. Pre-Marinated Fajita Chicken: for restaurants, food trucks, and kitchens looking for quick and easy preparation. Seasoned and ready to cook. White meat chicken breast strips in our special fajita seasoning. Serve the best, every time. Waco Beef & Pork Processors offers the best selection whole and cut chicken legs. Entire chicken leg quarters contain the drumstick, thigh, and a portion of back meat. Chicken drumstick includes the thigh bone and thigh meat. Boneless chicken thigh meat is removed from the bone, tender and ready for kitchen preparation. Whether your recipe calls for the entire leg quarter, the drumstick, or boneless skinless chicken thigh meat, Waco Beef & Pork Processors special-prepare every order. Nothing but the best, every time. One of the most popular and valuable cuts of white meat for any restaurant, grocery, or commercial kitchen. Chicken breast is one of the most popular meats anywhere. Not only do you need to offer chicken breast meat, you need to offer the best chicken breast meat. Waco Beef & Pork Processors: top central Texas supplier of boneless, skinless breasts for BBQ chicken. Our fresh or frozen chicken breasts can be whole or halved. Sized, and single or double lobed, and random-sized bulk breasts. We offer options with skin as well as boneless and skinless chicken breasts, according to your needs. 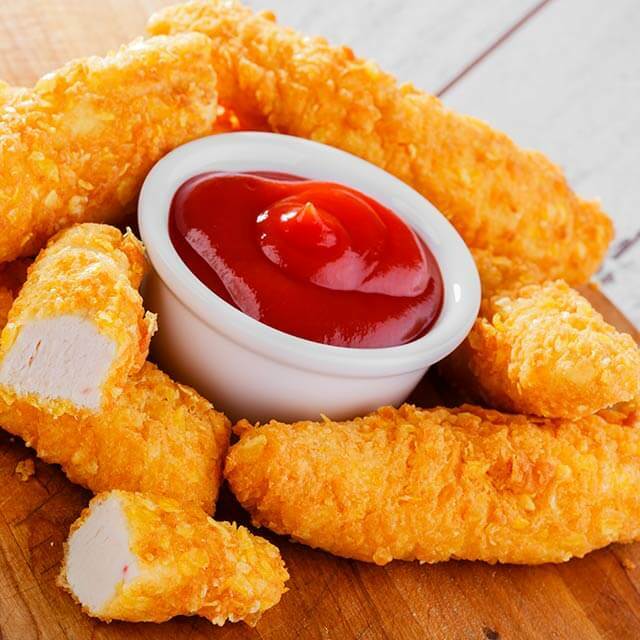 Offering the best selection in Texas of restaurant wholesale chicken tenders for any recipe. A low-fat, high-flavor option for any menu, turkey is welcome at any table. Although it is the centerpiece of the winter holidays – Thanksgiving in particular – it is a top choice for any menu year-round. Waco Beef & Pork Processors offers the best selection in central Texas of smoked, fresh, or frozen whole turkeys, turkey legs, and turkey breasts for commercial kitchens. Many recipes call for multiple parts of the same bird. 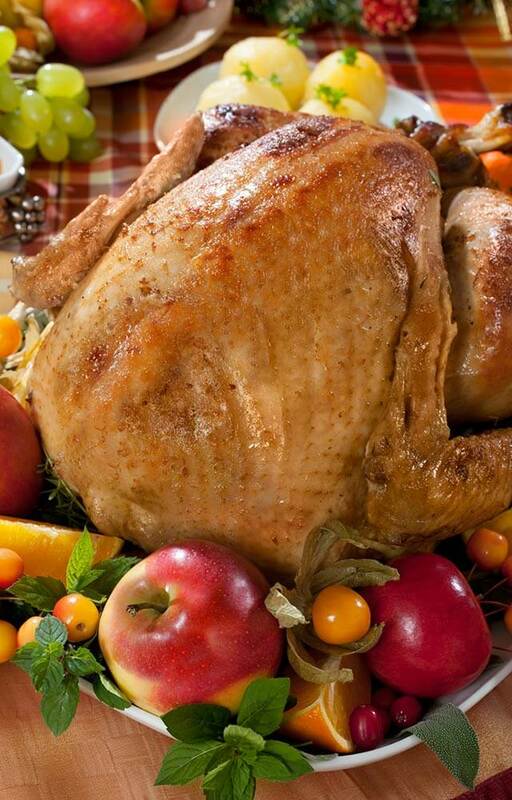 Whether preparing turkeys whole, or dividing a turkey meat for many recipes. Whole turkeys provide great value to every kitchen. Waco Beef & Pork Processors: Grade A whole fresh and frozen turkey. For every table in Texas. For the holidays and year round. Caterers for special events. Family-style holiday restaurant menus. Commercial production of smoked or fresh turkey. 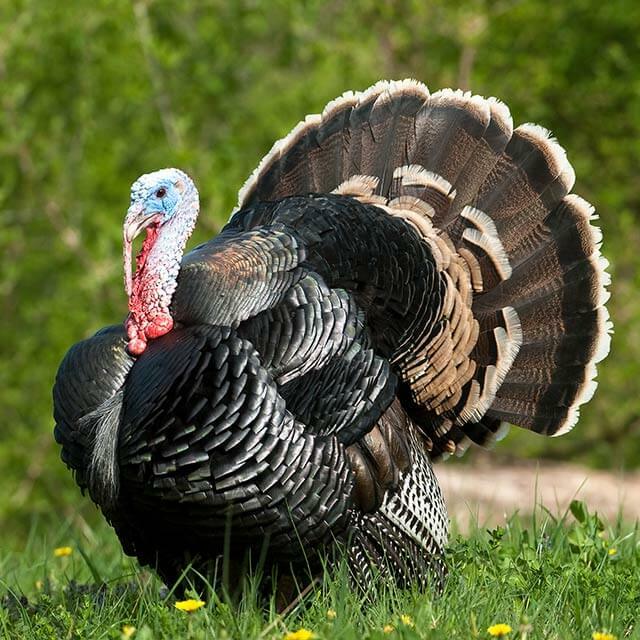 We welcome standard bulk orders, or custom orders for wholesale fresh turkey. Best selection in central Texas. You can’t really call it a “barbeque” if you’re not offering juicy, dripping turkey legs. A top item on any summer menu. Grade A meat. Top cuts of premiere turkey. Smoked or fresh. Seasoning and restaurant preparation available. Common in the best diners, fairs, carnivals, food trucks, theme parks, commercial kitchens, and BBQ joints across the country, the best whole and smoked fresh turkey legs come from Texas. Waco B&PP: Supplying top fresh and smoked restaurant-grade wholesale turkey legs. Turkey breast is one of the most popular white meats in America. Long known to be flavorful and tender, it is gaining new notoriety as healthy and versatile. People love the variety of recipes that boneless turkey breast can be used in. People love options. Waco Beef & Pork Processors: top selection of fresh and frozen turkey breast in central Texas. Seasoned or smoked. Fresh or frozen. A staple on any restaurant or catering menu. Boneless turkey breast tenders are great for turkey jerky. 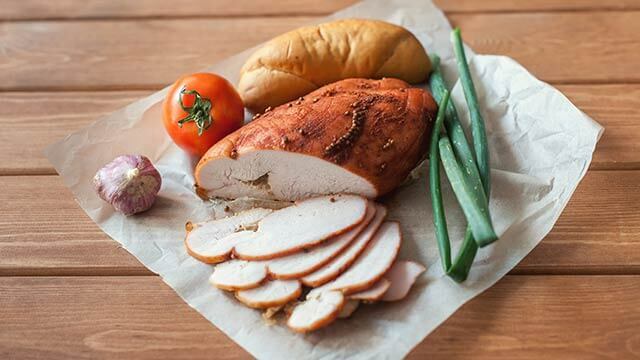 Our frozen turkey breast is perfect for commercial production and specialty preparation for any commercial kitchen. As makers of an award-winning sausage brand, Waco Beef & Pork Processors know a thing or two about ground meat. The best finely ground poultry in central Texas. 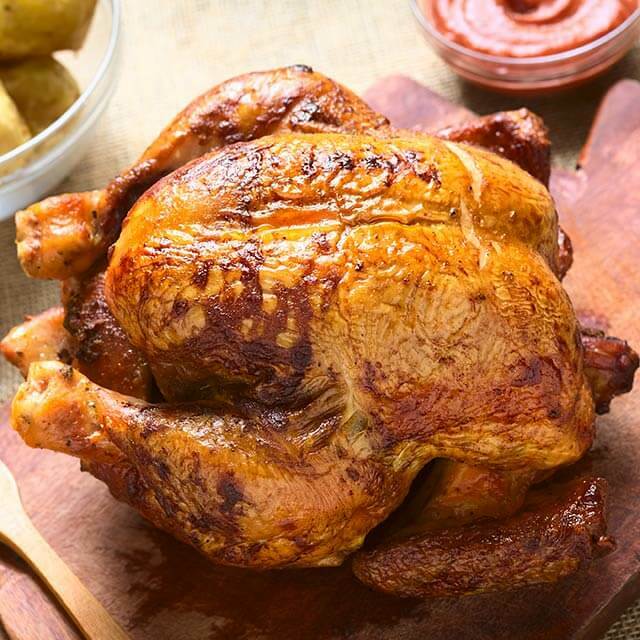 Top expertise from meat processors with over 120 years of experience with chicken and turkey. We specialize in the best, most flavorful ground turkey for commercial cooking and restaurant menus. 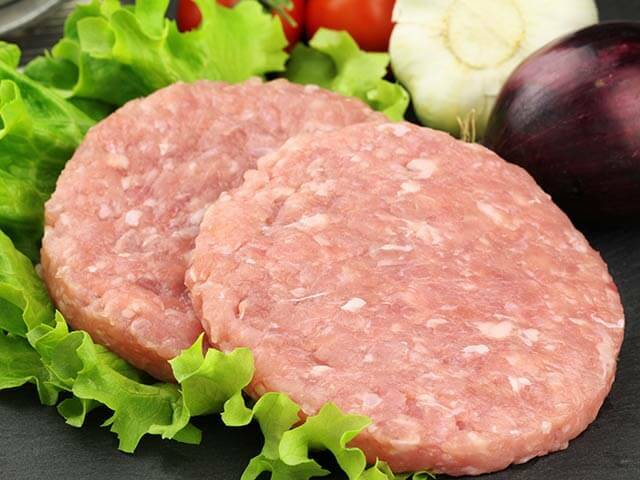 Low-fat ground turkey for home recipes and sausage production. Specialty-prepared ground chicken for top moisture and flavor. Fresh or frozen. Ground to top mixtures and specifications. The offal of poultry – the “giblets” – is used in commercial food processing and modern industrial kitchens. They are a long-standing part of cuisine. For some of the tastiest, most authentic classic recipes. For one-of-a-kind gourmet flavors. Fresh or frozen. Turkey necks. Chicken hearts. Waco Beef & Pork Processors offer chicken and turkey giblets. Order what you need for your restaurant or commercial kitchen’s unique recipe. American Meat from American Poultry Farmers. 100% Made in USA. We know that it takes careful dedication and the highest standards to achieve the best results. For over 20 years, Waco B&PP butchers have been a part of the central Texas community. We are dedicated to putting great meat on every table. We work with the best local and franchise restaurants, delis, BBQs, caterers, event halls, grocers, and other food suppliers to deliver the top tasting, highest-quality meats throughout central Texas. We’re proud to serve those who serve others. Award-winning tastes come from world-class standards brought together with the top US suppliers. We work with poultry farmers throughout Texas and neighboring states to select turkey raised to the highest USDA standards for Grade A poultry. We process the best birds, delivering them fresh and frozen and exactly to every customer’s specifications. Waco Beef and Pork Processors: the best selection of wholesale chicken and turkey.